One of my favorite culinary ingredients to work with is the rose, which includes using both the rose petals and the rose hips. The rose hip (Rosa canina L.)is the ‘fruit’ of the rose, and it is well worth getting to know. The rose hip is a valuable source of vitamin C and offers anti-inflammatory & antioxidant activities. In the autumn as the rose blooms begin to fade, you’ll notice the hips will start to turn from green to red. Once they are red and plump, they are ready for picking. Some say that they are even sweeter after the first frost. We’ve harvested them before and after frost, although they are good either way, indeed, it is worth waiting for the frost to kiss them before plucking them from the rose bush. One of the difficulties with utilizing rose hips are the tiny irritating hairs inside the fruit. Although they look delightful, you don’t want to pop a rose hip into your mouth without tending to those hairs. Some recipes call for the tedious work of scraping out these hairs from every rose hip, I’ve done it, and much prefer methods that do not require this difficult task. 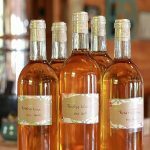 This recipe for rose hip wine is one such recipe that makes it easy to work with the hips. 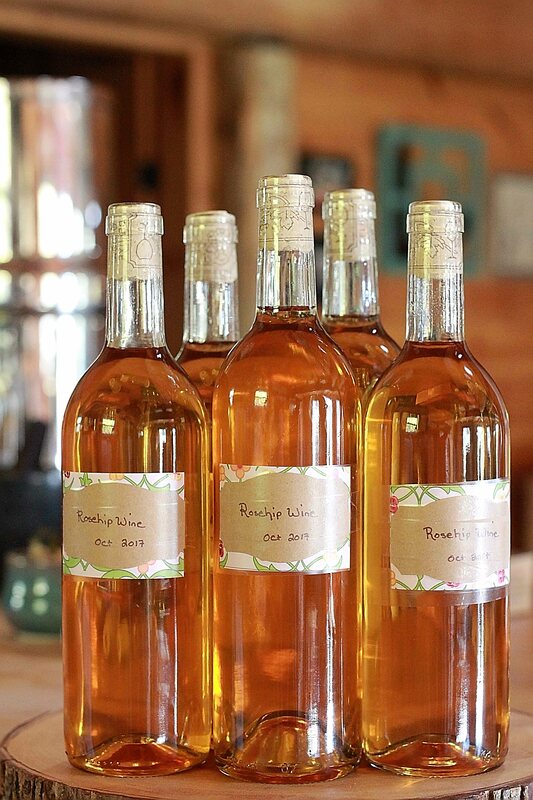 Rose hip wine is gorgeous, this amber colored wine is dry, mildly fruity with a vanilla undertone. For those of you that worry about making things that taste “unpleasantly floral” don’t worry! No one would ever guess this wine came from a rose bush. This wine does require patience however because like most country wines, they are better when properly aged. With this wine you should wait at least one year before drinking (two is better). 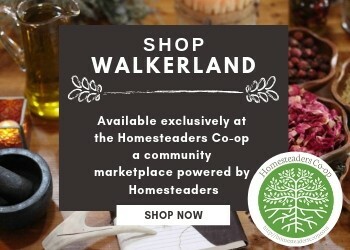 You can make a lot of different things with rose hips including, jam, jelly, syrups, tonics, tea, tinctures, extracts, digestive bitters and our favorite thing of all: country wine. 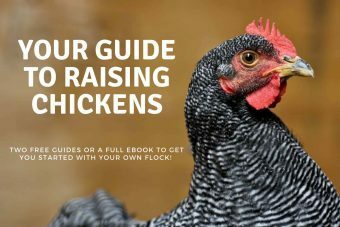 Our recipe was adapted over time from the recipe in ‘River Cottage Handbook No. 12: Booze’. These books are worth collecting, and I highly recommend them. I added lemon zest, converted the recipe from kilograms to pounds and added more sugar and more rose hips. You can use any variety of rose hip. Make sure they are clean and free of chemicals. 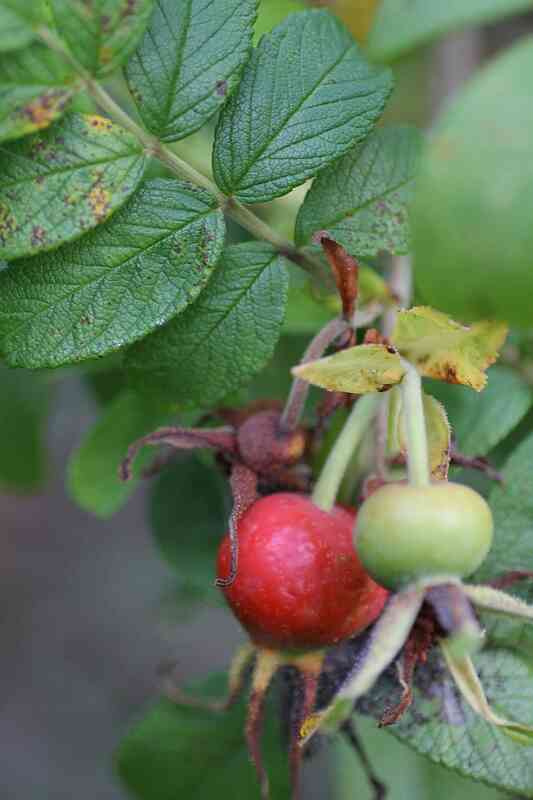 We grow Rosa Rugosa which provide nice big rose hips. The Rugosa isn’t a fancy rose but it’s such an incredible producer, and it’s extremely hardy. Helpful Tip: Wait for the first frost before harvesting your rose hips. This tends to sweeten them just nicely. Wait until the rose hips are plump or red. If they are still green or quite firm to the touch, they aren’t ripe yet. Wash the rose hips thoroughly and remove the stems and tails. Pick through the rose hips and remove any that look bad or that are still green. 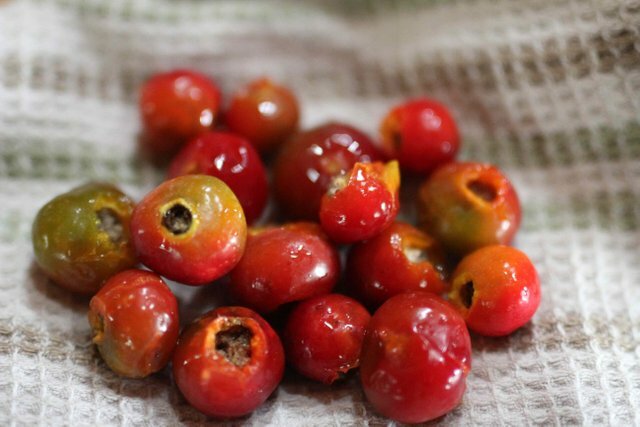 Here’s how the rose hips should look when you’ve finished cleaning and removing the tops and tails. 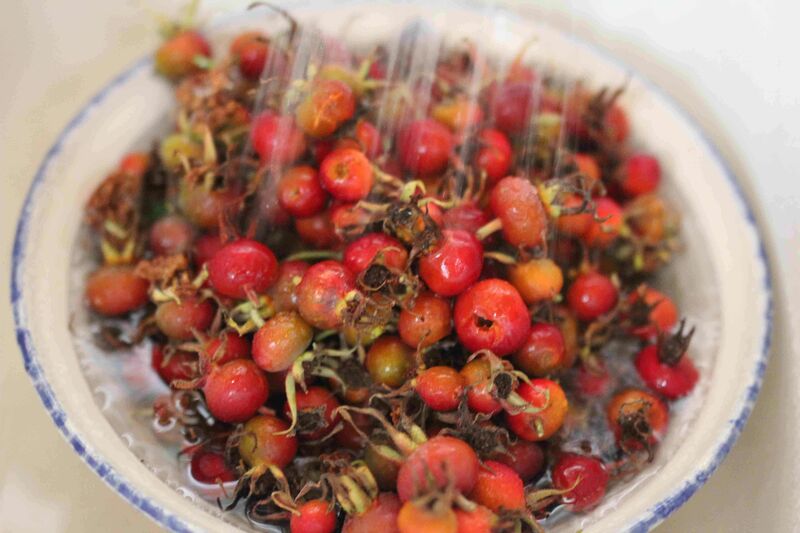 Place the washed rose hips in a sterilized fermenting bucket. Boil2.5 liters of water and pour over top of the rose hips. Allow to cool and then crush the hips by squeezing them through your fingers. Add the crushed campden tablet and pectic enzyme and cover with a large dish towel. Leave covered for 24 hours. Make a sugar syrup by gently heating 2 liters of water with the sugar until it’s dissolved. Pour this mixture into the fermenting bucket with the rose hips. Let cool. Aerate by stirring vigorously. Add the lemon, zest and yeast nutrient. Once the mixture in your fermenting pail has cooled, rehydrate the yeast by following the directions on the yeast package. Once the yeast has been rehydrated, add it to the bucket and give it a quick stir. Cover the fermenting pail with a dish towel and allow to ferment for five days. Aerate by stirring once per day except for the last day. You want to leave the sediment on the bottom of the pail so be careful not to disturb the container on the last day. This photo shows what the wine will look like while it is fermenting. You’ll hear fizzing, and there will be plenty of bubbles. Carefully strain out the solids leaving the sediment in the bottom of the fermenting pail. Siphon into a 1-gallon demi-john, add an airlock and set aside in a cool dark location. Bottle in sterilized wine bottles and allow to mature for at least six months before drinking. The wine does change and improves in flavor so be sure to give it some time. Roses are a versatile ingredient, both the rose petals and the rose hips are beneficial in both culinary and natural health recipes. Here are some other culinary recipes that you might enjoy. 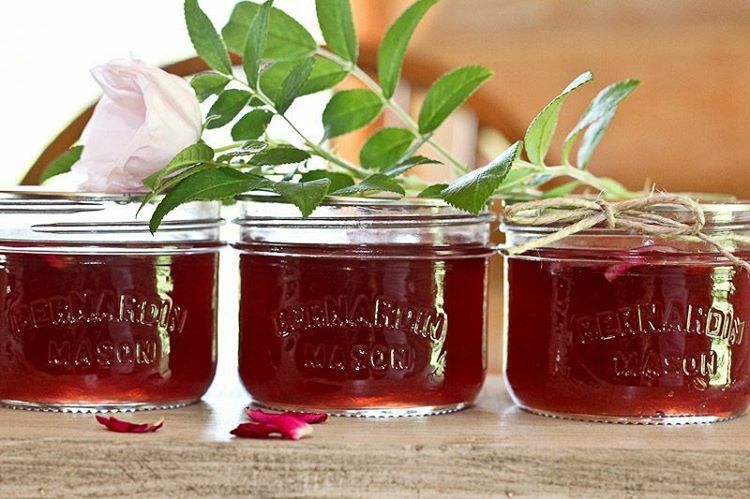 Making wine using items from your garden is quite enjoyable, and easy to learn. Here are some of our favorite recipes. And if you are going to make wine, you might also learn to make wine vinegar. Homemade vinegar is a great way to use up any extra wine that you have. Wash the rose hips thoroughly and remove the stems and tails. Pick through the hips and remove any that look bad or that are still green. 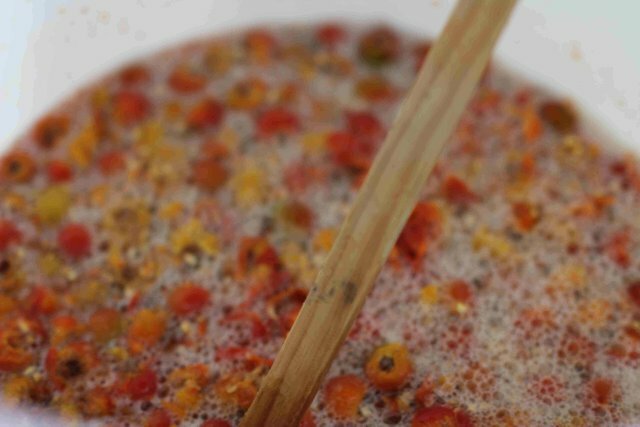 Place the washed rose hips in a sterilized fermenting bucket. Boil2.5 liters of water and pour over top of the hips. Allow to cool and then crush the hips by squeezing them through your fingers. Make a sugar syrup by gently heating 2 liters of water with the sugar until it's dissolved. Pour this mixture into the fermenting bucket with the rose hips. Let cool. Once the mixture in your fermenting pail has cooled, rehydrate the yeast by following the directions on the yeast package. Once the yeast is rehydrated, add it to the bucket and give it a quick stir.